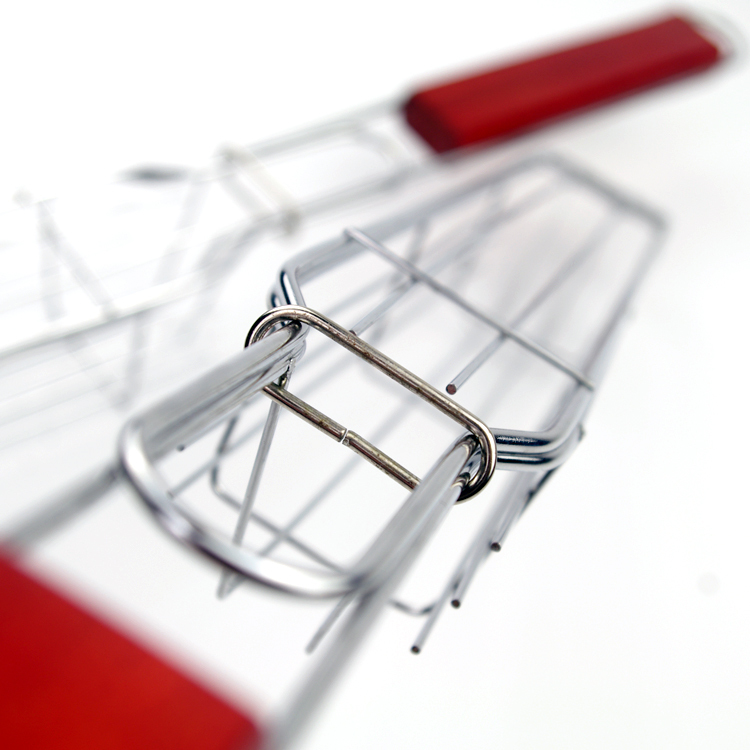 Kabob bbq basket Set Includes:2-pieces bbq Holding Grilling Baskets and 1-piece Basting Brush.Two kabob cages that hold all those delicious ingredients in place so you won`t lose that onion chunk or piece of steak to the fiery depths of your grill any more. A brush is included so you can baste your kabobs for maximum taste.The stainless steel construction with wood handles. 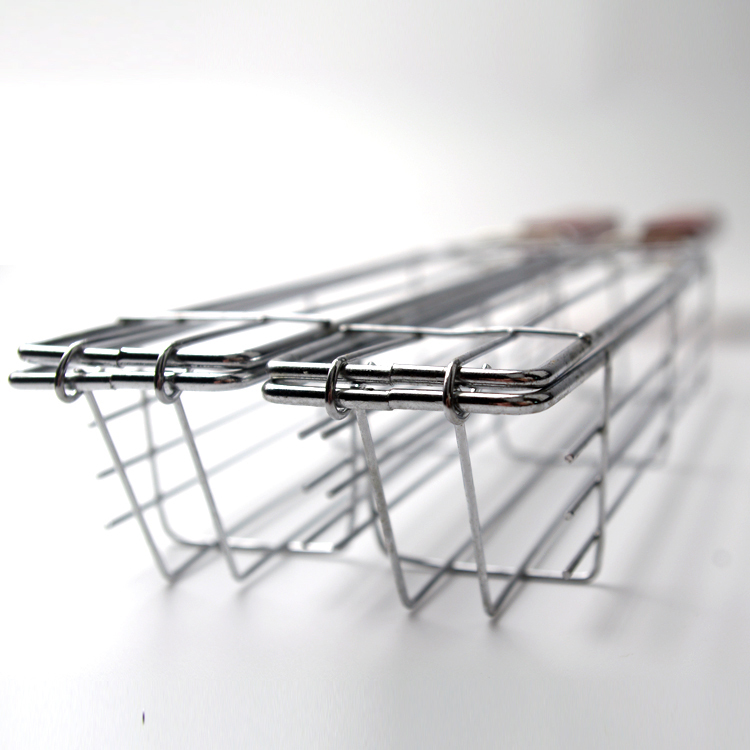 Looking for ideal 3pcs Bbq Grill Basket Manufacturer & supplier ? We have a wide selection at great prices to help you get creative. All the Rectangle Bbq Vegetable Baskt are quality guaranteed. 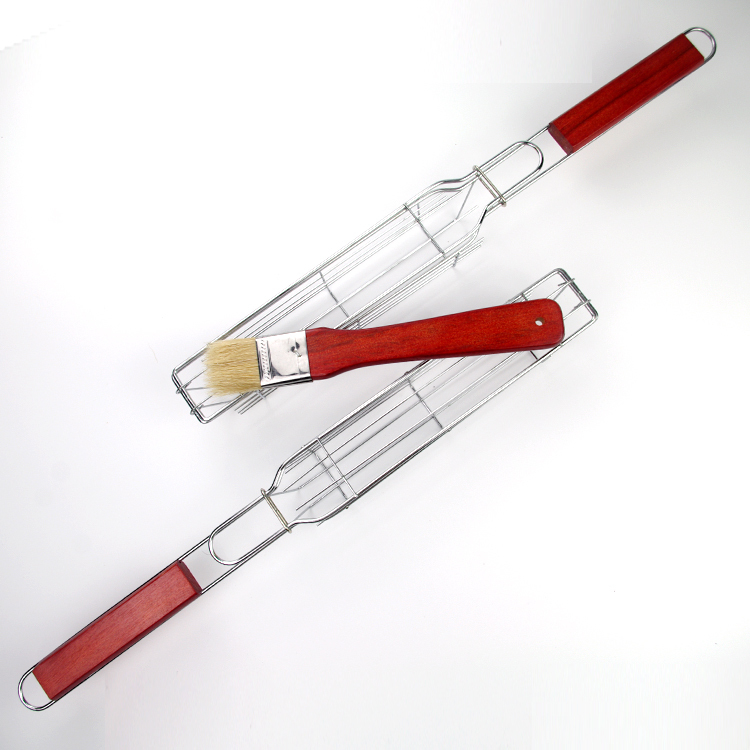 We are China Origin Factory of Bbq Vegetable Basket Set with Brush. If you have any question, please feel free to contact us.